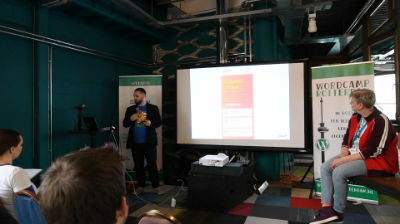 March 1, 2019 — Vraví sa, že frontenďáci nie sú skutoční programátori. Asi je správny čas zmeniť tento mýtus a ukázať, že aj frontend si zaslúži objektovo orientovaný prístup. 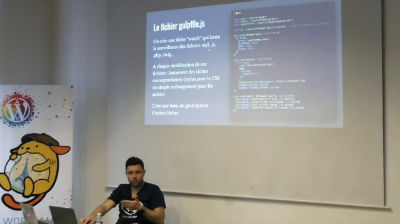 Prednáška sa pokúsi zrozumiteľnou formou vysvetliť základy modulárneho prístupu k CSS využitím technológie Sass a metodológie Oxygen. Buďte ale pripravení na to, že vám hrozí zmena návykov v písaní CSS. 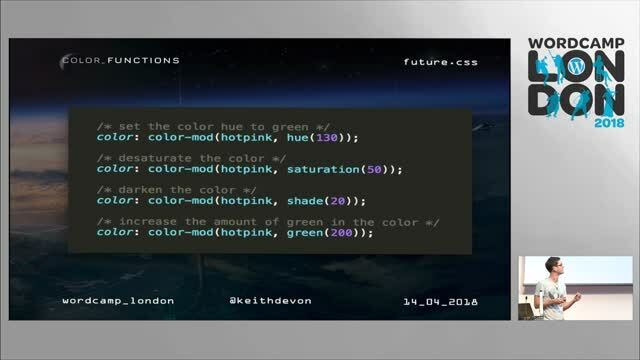 January 6, 2019 — In this session, we’ll be looking at bleeding edge CSS techniques and some of the cool properties that are available today or just around the corner. Discover ten handy tips in ten minutes for customizing your WordPress site with CSS. 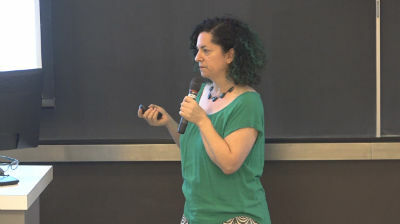 From quick techniques to hide elements you’d rather not see – to sneaky ways to add in extra bits of text, this talk for CSS newcomers will show you just how useful CSS can be. 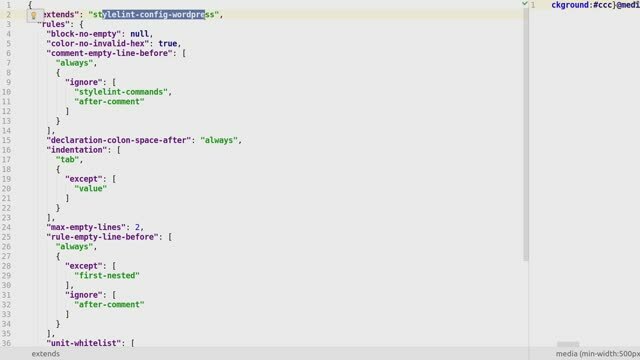 It’ll whet your appetite for more and suggest where to continue your CSS journey after the ten minutes whiz by. 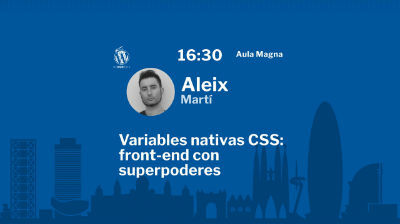 November 11, 2018 — Introducción a las variables nativas CSS. 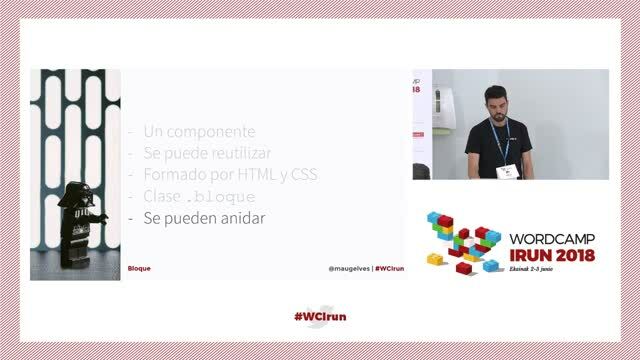 Ejemplos prácticos de cómo modificar dinámicamente un tema de WordPress desde el front-end y cómo pueden usarse para mejorar la accesibilidad de una web. 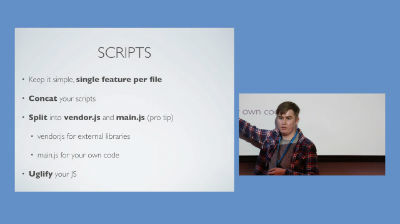 April 18, 2018 — In this talk we’ll explore how and why you should say goodbye to the frontend frameworks you use. 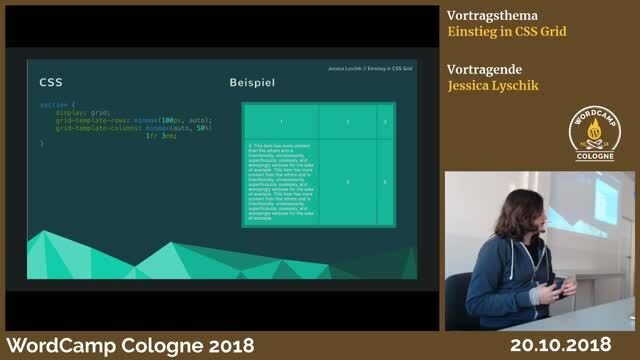 Through live coding demo’s we’ll explore how new css techniques like CSS Grid and Flexbox can help you create more original, better and easier-to-maintain weblayouts in a fraction of the time.